What a bunch of scrap...: Is it winter yet? Be sure to read to the end of the post - I made a card with the "Four Seasons" stack as well that I'm sharing today. 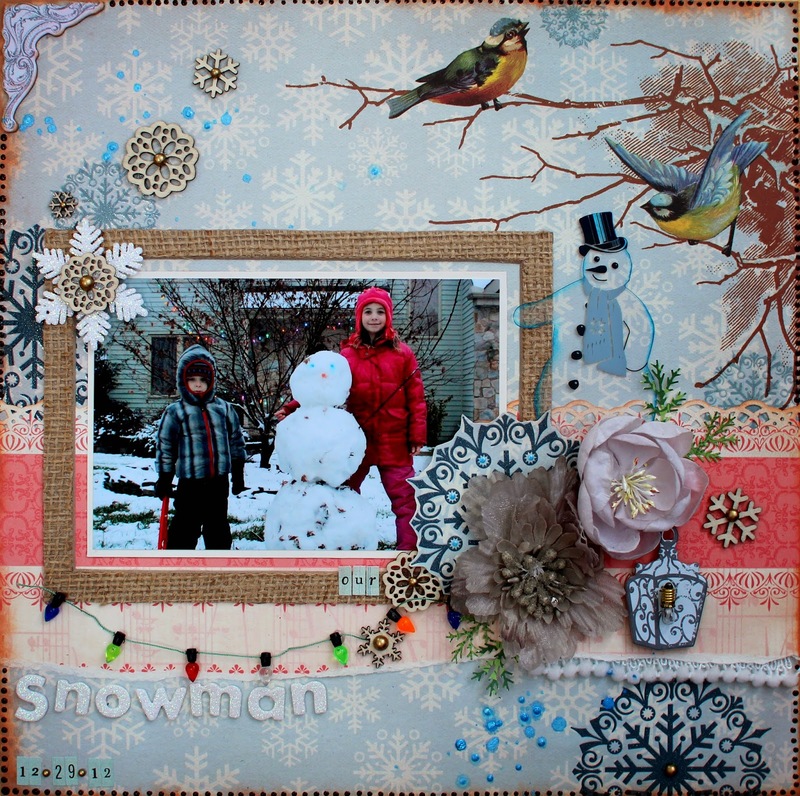 And... stop by tomorrow because I made a mini album I really love, using the gorgeous DCWV "Mademoiselle" stack... I used a Punky Sprouts mini with all sorts of funky pages to scrap our trip to the Renaissance Faire this year. I'll schedule it to go live early tomorrow morning! I used the winter paper and the valentine's day paper from the stack for this layout, as well as did some misting, added dots with a Pearl Pen, and even a tiny little light bulb embellie for the chipboard lantern. So fun! I added some more dots, and did hand stitching, and lots of inking again. Also lots of dimensional adhesive to make things pop a bit more. I just love how a lot of the DCWV papers are glittered or have other cool effects - these butterflies were, for example, so if you fussy cut them out, they're ready to go embellies!